Everyone agrees that biking is one of the healthiest ways of travelling. The public widely recognises the mental and physical advantages of biking daily. Biking every day strengthens the immune system, enhances physical fitness and improves a person’s ability to cope with stress. These benefits can lead to a happier and healthy lifestyle for the workforce population. To encourage your employees to bike to work, you can install bike shelters on your office grounds. Not only will you encourage your staff members to live a healthy life, but you will also help them lessen their carbon footprint. 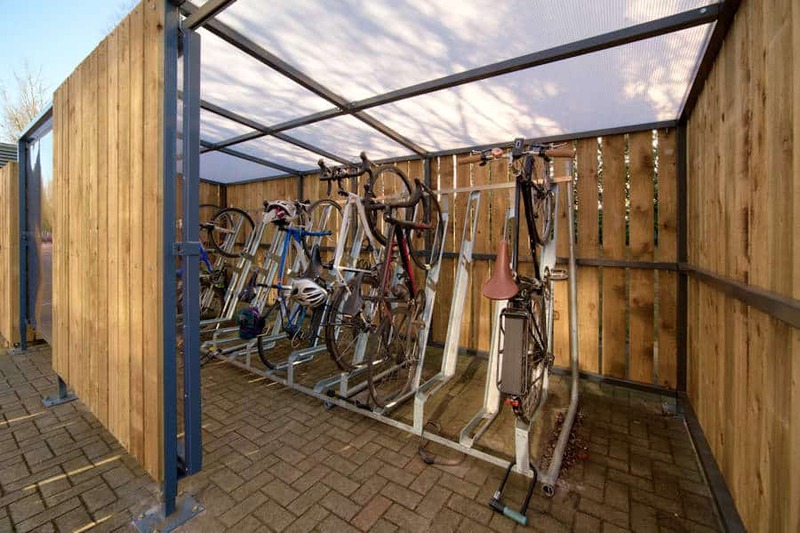 From a business perspective, adding a bicycle shelter in your office’s premises frees-up a lot of space. Having a good number of staff bike to work means that they will need less space than staff that bring their own cars. This allows businesses or employees to save space and money since they will not need to pay for parking space. Overall, encouraging staff to bike to can improve your corporate image and help companies obtain ISO 14001 certification for their company’s environmental management system. When adding a cycle shelter to business premises, companies should promote it to everyone by installing it in an area that is highly visible to your staff. You may also want to add a sign that directs your staff to its location. Assure your staff that their bike is safe and secure in the cycle shelter by adding additional lighting, CCTV and surveillance by security staff. Once your staff notices that the cycle shelter is located in a safe area, the more they likely it will be that they will bike to work. Kensington Systems installs a wide range of bike shelters in the UK. We help you find a safe and secure location for your cycle shelter. Our cycle shelters come complete with lockable cycle compounds with vented roofs to ensure that your staff’s bikes are safe from the elements. To inquire about our cycle shelters, call +44 0 117 958 9933.